This strand of Baroque South Seas is exquisite. 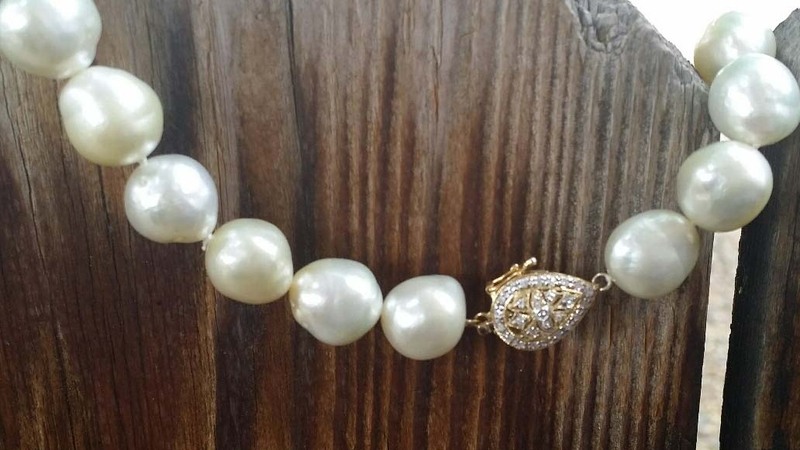 Hand selected pearls are hand knotted with double knots on Kevlar and a teardrop 14KY gold diamond filigree clasp. Simply stunning the pearls are approximately 10-11 mm in diameter. 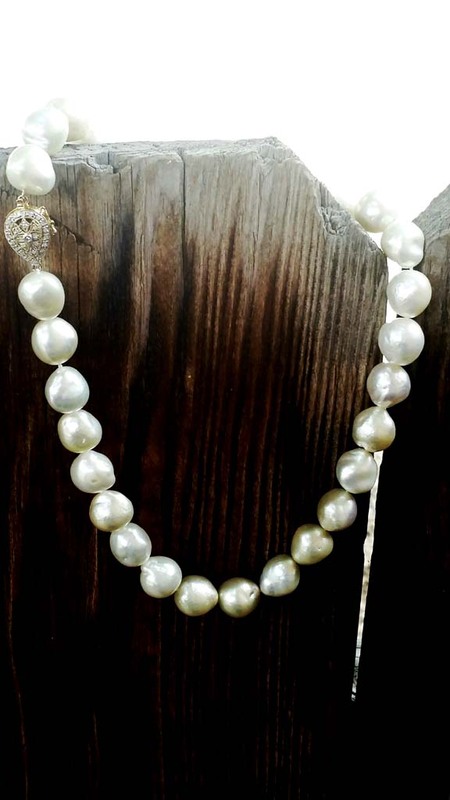 These pearls are unheated, undyed with no treatment of any kind. They are soft, feminine and beautifully strung by me.